Hello and welcome to Bookworms Discover, a new and unique indie book promotion site that will officially launch in January of 2018. What makes us unique? 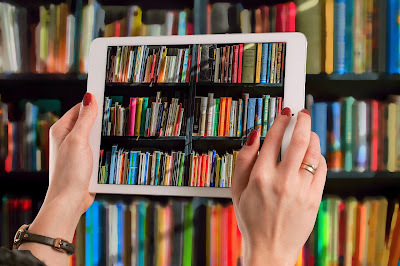 Well for starters, Bookworms discover will only feature free books by up and coming indie authors who might not be on your radar yet, and we’ll only feature up to 30 titles on the first Thursday of each month as not to overwhelm readers. And that’s basically it! Well, that's the short version at least. For a more in-depth look at who we are, how this works, and what we’re hoping to accomplish, check out our For Readers and For Authors pages. We realize, of course, that January is a long way off, but we have a very good reason for getting an early start: We're looking for you! The readers! We’re looking for bookworms with broad tastes and a voracious appetite who are genuinely interested in discovering new titles. We're looking for open minded individuals who want to read more than just today's bestsellers. Our hope is to have a modest, yet sizable readership eagerly anticipating our first post. We’re not interested in trying to woo authors with inflated numbers. We’d rather have a small following of real folks who are looking for free books to read rather than an impressive list of robots (not that we have anything against robots, but everyone knows they're not big readers). In October, we’ll share the Support for Indie Authors Free & Bargain Book Event. Those usually attract dozens of authors who offer free and 99 cent titles. In November, we’ll be hosting New Release-A-palooza, where we’ll alert you to some new release deals by authors who you will definitely see in upcoming events. And in December, we’re spreading holiday cheer with even more free books and an indie author meet and greet on Facebook. We would love for you to subscribe to receive updates (by using the button at the top of this page), follow us on Twitter, or like us on Facebook. And of course, we would be grateful if you help us spread the word to other voracious bookworms. Thanks for visiting and we hope to see you again real soon! Very Happy to see this happening! Thanks.